Description: Collect the required resources to win Apocalypse's Icon, Knight Emblem(10#)(which gives great stats to your Amulets), Lvl. 11 Cherubstone, Spirit Essence, Mikaela Awakenning Stone, Hellish Wolf Crest and many other rare items! Hope you will like it. 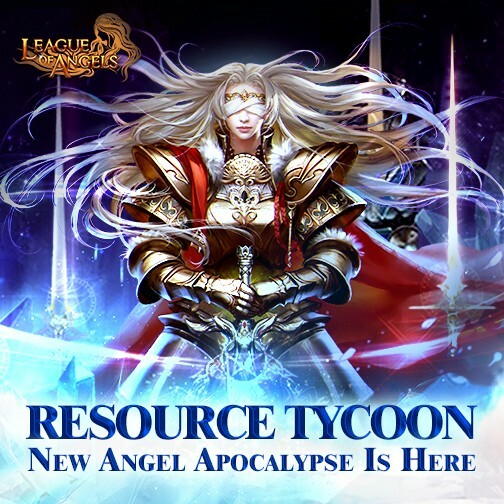 - For players of previous servers, you can gain points by collecting required resources during the event, i.e. Spirit Essence, Grotto Heart, Element Scroll, Angel Tears, Runestone, Blessed Stone, Seraph's Stone, Aegis Shard, Soulstone, Gold, Element Crystal, Enchanted Stone, Gems and Gem Enhancement Stone. Description: Reach certain points every day to get your rewards. You have a chance to get Spirit Essence and Source of All Souls here. More exciting events are coming up through May 5 to May 10 (server time). Check them out in the in-game Hot Events menu now!